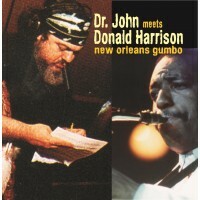 Donald Harrison, who never shirks from a challenge, looks Kind of Blue, straight in the eye. 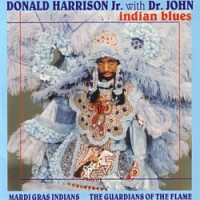 He could have done the hip-hop kind of Blue, the reggae Kind of Blue, the Mardi Gras Indian Kind of Blue. Nope – he takes some brilliant, in the pocket players covering several generations examines the original five tunes (‘Blue in Green,’ ‘So What,’ ‘All Blues,’ ‘Freddie Freeloader’ and ‘Flamenco Sketches’), throws in three new tunes heavily in the style (‘Kind of New,’ ‘It Is’ and ‘What Next?’) and lays it out. 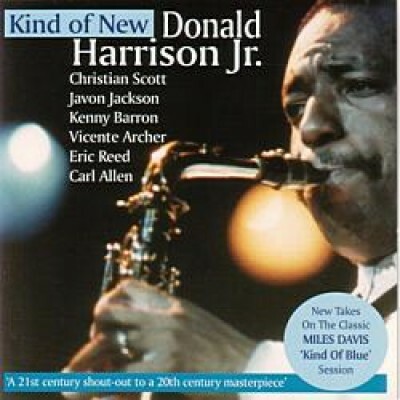 Baby, this is it – Kind of Blue done Kind of New. It takes guts, but there it is, a 21st century shout out to a 20th century masterpiece. 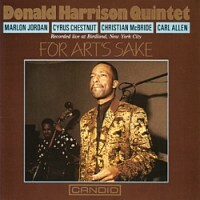 Carl Allen and Javon Jackson are Donald’s contemporaries – Javon, like Donald was a Jazz Messenger. Eric Reed and Vincente Archer, a bit younger are from the first generation to be influenced by Donald and his peers. Kenny Barron, of course is a giant, more or less a contemporary of Miles. 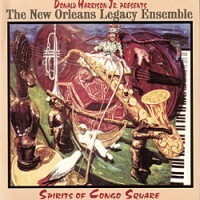 And Christian Scott – well the trumpet man on this disc, was, at the time of this recording, 17 years old. He’s Donald’s nephew and Donald, despite his faith in Christian (he’s recording with Uncle Donald before on Paradise Found) had his doubt.